The Boule fruit bowl is a recent addition to Siebensachen collection designed by Adam + Harborth. The distinctive design is inspired by the boule game played during every summer evening in village squares across France, with players trying to throw balls as close as possible to a target that is represented by a small wooden ball. Featuring 13 connected spheres of various sizes, the bowl recreates the most intense and captivating part of the game in a dynamic design. 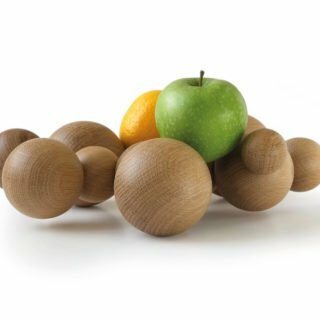 Every sphere is hand cut from solid oak and coated with a waxed finish before being assembled in a small workshop in Germany, right near the French border. 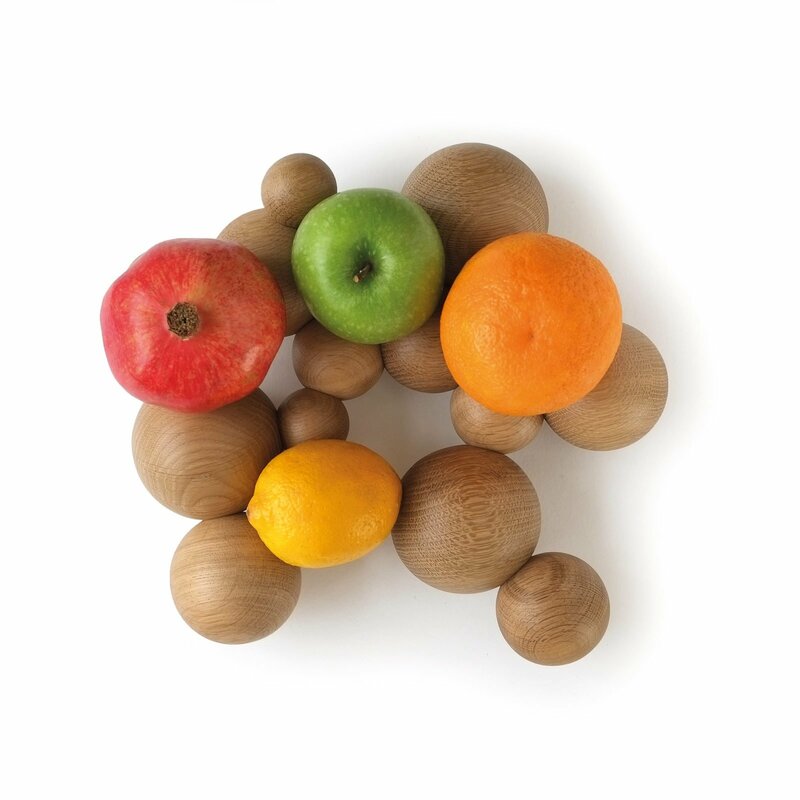 This wooden fruit bowl measures 280mm x 310mm and can be used to hold just one piece of fruit or a large assortment.